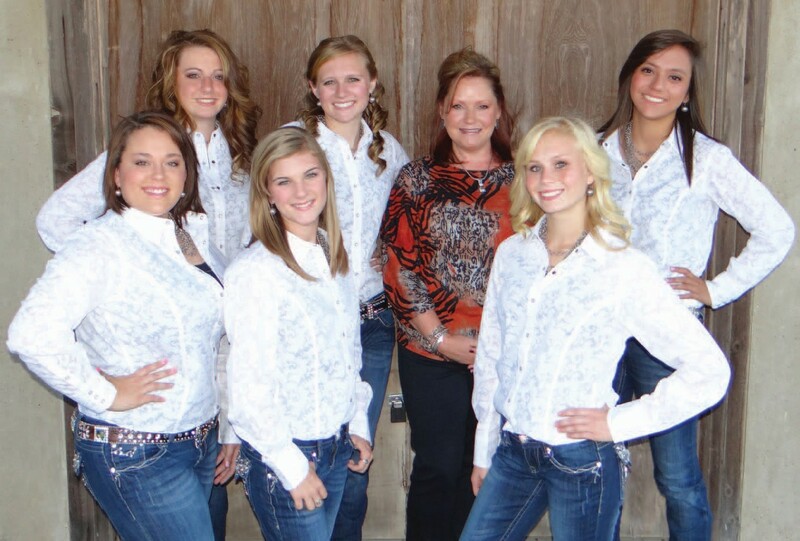 Jill Reed of City Cleaners (center) has donated dry cleaning for the Cowboy Homecoming Court . Gathered around her are back row, left to right: Princess Emalee Rice, Princess Jessica Herschap, Reed and Princess Danielle Santos. Front row, left to right are Duchess Kylie Yapp, Queen Kianne Rowinsky and Princess Lexie Roane.